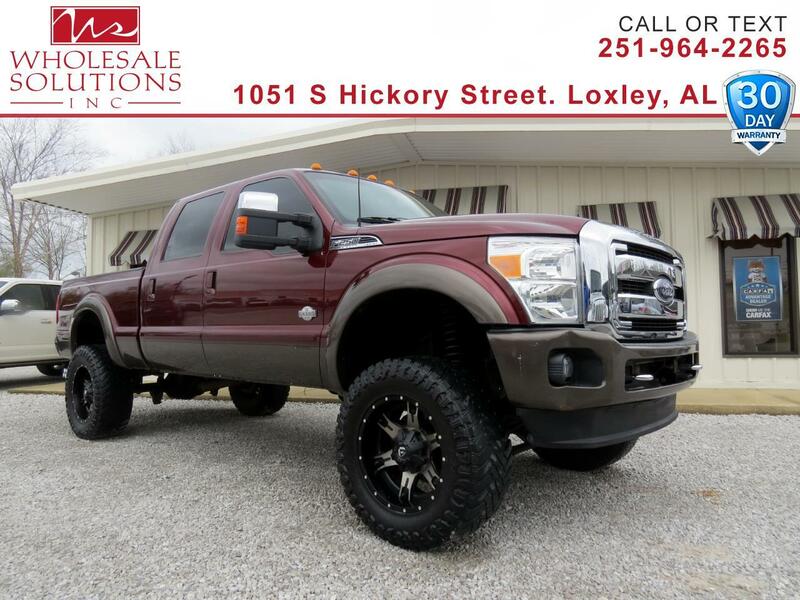 Used 2015 Ford Super Duty F-250 SRW 4WD Crew Cab 172" King Ranch for Sale in Loxley AL 36551 Wholesale Solutions Inc. Custom Lifted Equipment, *** DEALER WARRANTY ***, ***Financing Available***, Goose- Neck Hitch, *** LIFT KIT ***, Navigation, Spray-In Bed Liner, Backup Camera, Bluetooth, Chrome Wheels, 10 Speakers, ABS brakes, Alloy wheels, AM/FM radio: SiriusXM, CD player, Compass, Electronic Stability Control, Front dual zone A/C, Heated door mirrors, Illuminated entry, Low tire pressure warning, MP3 decoder, Power driver seat, Premium audio system: Sony, Radio data system, Radio: Premium Sony Audio w/Single CD, Remote keyless entry, SiriusXM Satellite Radio, SYNC w/MyFord Touch & SYNC Services, Traction control. Priced below KBB Fair Purchase Price! Clean CARFAX.